This is the first of Isabelle Broom’s books which I have read having somehow not got around to previous books My Map of You and A Year and a Day which I have heard others raving about. Be warned that if you haven’t already booked your summer holiday before your read this book, you will want to go to Spain after you’ve read it! One thing I had heard about Isabelle Broom’s novels was that she creates an amazing sense of place and that was absolutely true. In fact, last week I read about one blogger who had just returned from a trip to Prague having booked it after reading A Year and a Day. The storyline follows Hannah, a tv researcher who has the opportunity to go to Mojacar in Southern Spain with her boss Theo who she has a huge crush on, her best friend Tom and Claudette, the presenter who Hannah doesn’t have much time for. She hopes that among the beautiful surroundings and in the heat, some passion may grow between her and Theo as she uses her knowledge of Mojacar to show him around and impress him. While there, she meets artist Elaine and becomes friends with her as she finds out more about the artist’s colony which used to be in the town. To her annoyance, her half-sister Nancy turns up unexpectedly. She has never really got along with Nancy, feeling resentful of her relationship with their father, who left Hannah’s mother when Hannah was only two. 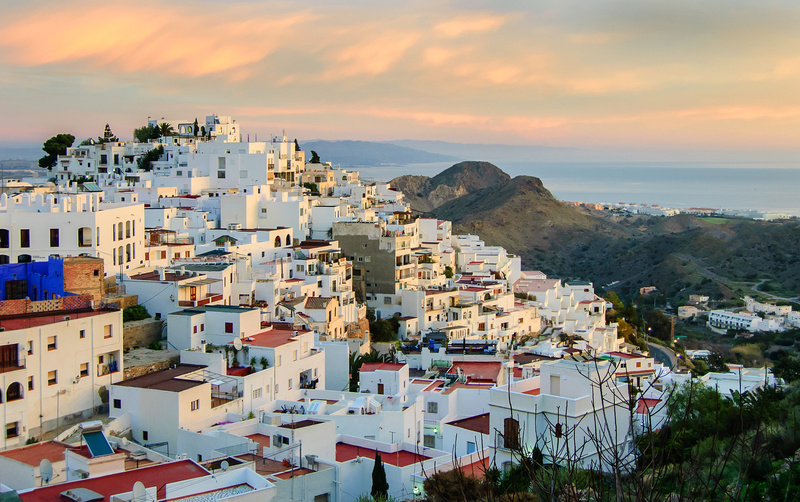 The setting of this book, Mojacar is a town in Southern Spain which is in the Almeria region and is close to the Mediterranean Sea. As you can see from the photo above, it is stunningly beautiful. The author’s descriptions of the town reminded me very much of Mijas, further along the coast not far from Malaga, where I have spent several holidays. Isabelle Broom paints a vivid picture making easy to visualise the white of the houses shimmering in the heat with splashes of pink from the bougainvillea trailing over balconies and the deep blue of the sky and the sea. I could imagine the heat of the sun, the coolness of the sea and almost smell the lemons in the air. The author certainly created a perfect sense of the location of her novel. I enjoyed reading about Hannah as she lusted after her gorgeous boss and tried to engineer ways for them to be together. She reminded me a little of the hapless Bridget Jones with her lovelife, though was much more together than Bridget in her professional life. The relationship between Hannah and Nancy was really interesting too. Hannah felt abandoned by her father and that he favoured Nancy. I could completely understand her hurt at being let down at some crucial points in her life such as when her dad didn’t come to a school show or didn’t take her to a friend’s party in a country manor. She was clearly hurting and saw Nancy as the source of this rejection. The way the relationship between the sisters developed over the course of the book was a really strong part of the story for me. Then. Now. 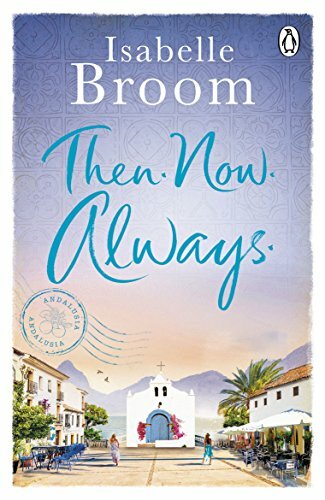 Always., a quote from the book about love in case you were wondering, is a very enjoyable read, perfect to get you in the mood for a holiday or to enjoy on a lazy sunny afternoon. It’s escapist and romantic and shows that the love you think you want, isn’t always the love you really need. Thanks to the publishers Michael Joseph Books for allowing me to read a copy of this book via Netgalley. It will be published tomorrow, 20th April, in paperback and as an e-book. You can order a copy online here: Then. Now. Always. Hannah can’t believe it when she’s offered a trip to sunny Spain with her best friend and dreamy boss . . . what’s the catch? For once in her life, can’t Hannah just have one perfect summer, free of any drama? I love Isabelle Broom’s writing. I was surprised this was your first as I thought she’s be just your kind of writer! I know, I don’t know quite how I never got around to the others but you know how it is when your tbr is longer than your arm!